Sharing large files between Android devices via the internet will consume your monthly allocated mobile data. While Bluetooth is a great alternative for smaller files, it will take forever if you want to transfer bigger files. Thankfully, there are plenty of apps available to help with wireless file transfer. But, finding the right app for this can be quite hard. Luckily for you, we did our research and we have for you one highly efficient app – MobileSync App. 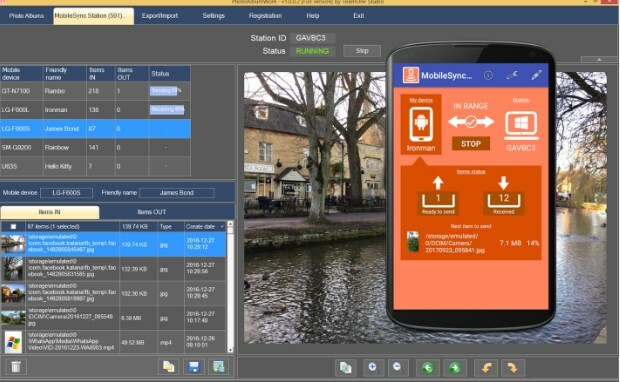 MobileSync App is one efficient and helpful tool that offers users to easily and automatically transfer files using their WIFI connection between their smartphone and their Windows computers. Developed on android platform, the app is very easy and simple for using, allowing the users to transfer videos, photos, text, and files without using any cables. On the app, users can communicate with the MobileSync Station on their Windows, setting up the app only once. No need for IP address copying or QR scanning for every transfer operation of files. The app works even when multiple android devices need to sync and transfer the files. With the help of this practical app, users are offered to easily and quickly transfer files automatically over their WIFI connection between their Windows and android device. No need of cables, the app works only with dragging and dropping files to the operation in the MobileSync Station on the computer. The app’s Watch Folders can be used for detecting new files and putting those files to the app’s send list for easy transfer on the MobileSync Station on the Windows. The app is allowing users to transfer files without USB cables, just with their WIFI connection and without turning on the WIFI hotspot or the Ad-Hoc mode. The app is free of limitations, allows users to transfer files no matter of their size and no matter the time that is been needed for the transfer.